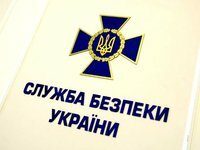 The SBU Ukrainian Security Service plans to meet with Ukrainian Member of Parliament Nadia Savchenko regarding her recent visit to occupied Donetsk where she has met with Ukrainian prisoners of war and will check information from Ukrainian MP Tetiana Rychkova who claims that Savchenko has allegedly incited Ukrainian soldiers to topple the Ukrainian government. "We don't monitor parliamentarians purposefully. But, having been informed by MP Rychkova, we'll of course verify the information without waiting for an official request from Mrs. Rychkova," head of the SBU chief's staff Oleksandr Tkachuk told Interfax-Ukraine on Friday. "These charges are too serious to be ignored," he added. In that regard, Tkachuk said that SBU head Vasyl Hrytsak has already ordered military counterintelligence service to carry out the relevant work and question servicemen that deputy Rychkova had mentioned. "Consequently, we will inform the public following this check," he said. At the same time, he said, no criminal case is opened at present on the grounds of the provided information, only preliminary check is under way. If the grounds to open a criminal case are obtained, it will happen, Tkachuk said. Replying to a question, whether the SBU is aware that Savchenko had gone to Donetsk together with Volodymyr Ruban, head of the Officer Corps center for release of prisoners of war, to visit Ukrainian prisoners of war, Tkachuk said that "it's a separate situation, which will also be subjected to a check." "We will also verify this information, it's not the first thing that Ms. Savchenko does together with Ruban," he said. Tkachuk said that, as a deputy, Savchenko is under no obligation to inform about her travels, "but we all probably need to remember the way Savchenko was taken prisoner first, then got into Russia. And now her visits to the occupied territories are causing certain confusion." In this context, he said, it would be appropriate if Savchenko informs SBU officials for what purposes she visits Donbas. Zorian Shkiriak, an advisor to the Ukrainian interior minister, in turn, said on Facebook that he believes that there is every reason to open a criminal case against Savchenko under the article 109 of the Ukrainian Criminal Code (actions aimed at violent change or overthrowing the constitutional system or at a takeover). Earlier, Rychkova, a deputy from the Petro Poroshenko Bloc faction, said that Savchenko had "incited servicemen to overthrow the authorities in Ukraine" and called on the Prosecutor General's Office and the SBU to investigate her actions.